This gorgeous hand-me-down made in the 1970s is from an old family friend who passed away in 1996. I wear it with love every time. I have been saving it up for this week of holidays and a date with my gorgeous boyfriend. 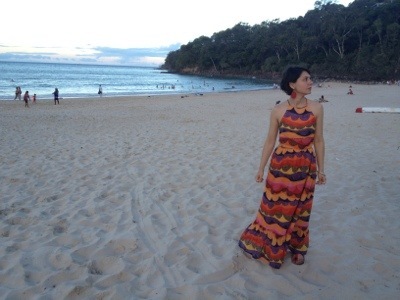 Posted in Brisbane Fun, casual, fashion, hand-me-down, vintage and tagged Christmas, Noosa, summer, Vintage. Bookmark the permalink.